Our friends at Orfeo Magazine have created something quite astounding – a set of 34 life-sized guitar prints of historic guitars. 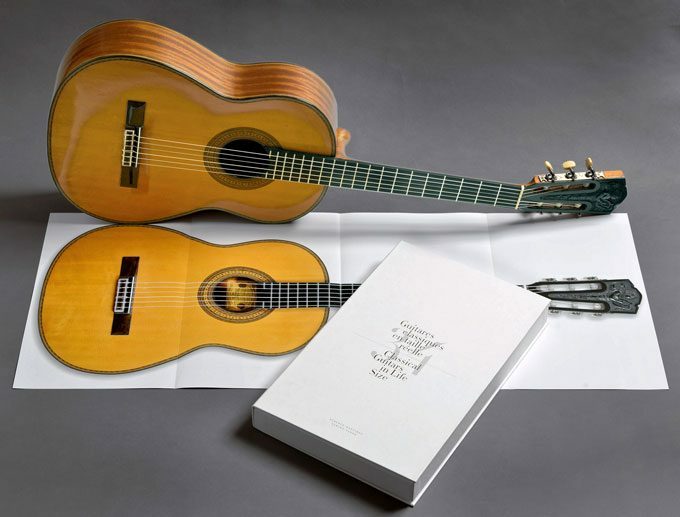 The guitars range from Torres’ 1856 ‘La Leona’ to a 2008 Daniel Freiderich, and include such great makers as Enrique Garcia, Francisco Simplicio, Santos Hernandez, Robert Bouchet, Hermann Hauser (I and II), Miguel Rodriguez’ (Pepe Romeros’ “La Wonderful”) and more. If you have seen any of the photography in Orfeo magazine you’ll have an idea of how beautifully produced these promise to be, and they include some information about the luthiers and the guitars in addition to the amazing life-sized guitar prints. We very much look forward to receiving copies at GSI in the near future!